In a stock pot on medium high heat add the vegetable broth, mushrooms, green onions, soy sauce rice wine vinegar and the Wicklow Rapeseed Oil with Chilli. Bring to a boil then simmer on medium for 30 minutes. Add the shrimp and simmer for another 3 to 5 minutes, or until the shrimp turn pink. 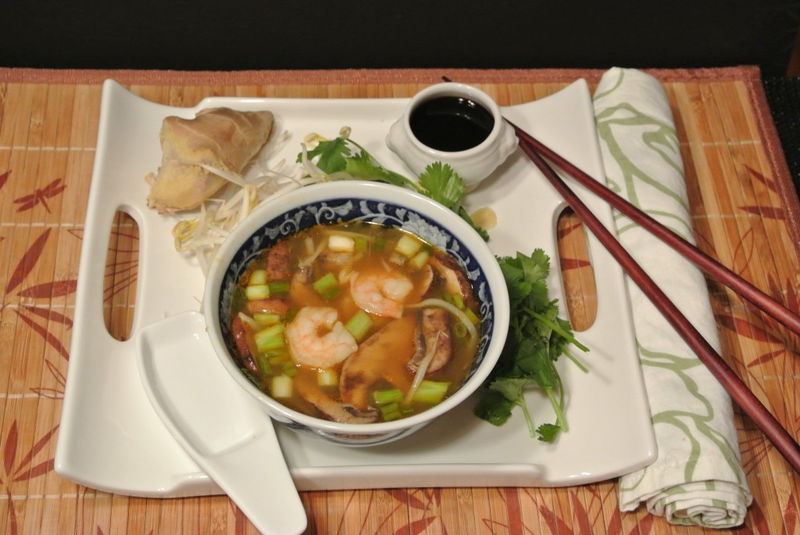 Pour into soup bows and serve with bean sprouts and cilantro and shaved ginger.